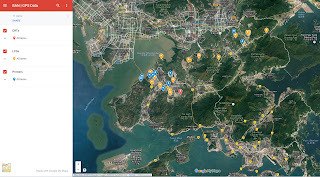 As multiple reporters recited from the press releases from MIT Senseable City and Basel Action Network this year, we heard descriptions of Hong Kong's New Territories, Yuen Long, and Tin Shui Wai in particular, which were familiar to people who went to high school 2-3 decades ago. "Rice Paddy". "Primitive". "Child Labor." But they missed the largest, most modern E-Waste processing facility ever seen on earth. This is an example of "brownwashing", the equal and opposite of "greenwashing". 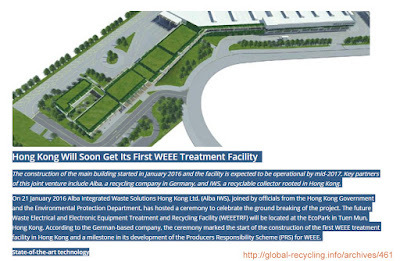 WEEETRF stands for "Waste Electrical and Electronic Equipment Treatment and Recycling Facility"
MIT's central claim is that the GPS Tracking Devices revealed "Previously Unknown" things about the used electronics trade. And they found "mistakes made" by R2 and E-Steward certified companies. But the biggest "previously unknown" is still unreported. But they had to say something about it... something in small print. Actually this just describes the $45M of the investment, they didn't actually mention the $550M WEEETRF next door. How is this NOT THE PBS HEADLINE? NGO went to huge lengths to hide perhaps the largest e-waste recycling facility on the planet, led everyone to a puny junkyard as "representative of hundreds of similar dumps" (really?) in Hong Kong ... a statement they have to make because there's no significant truck traffic, nothing approximating the volumes BAN says are going there (the Agbogbloshie problem). But they track stuff to the WEEETRF and to end users of repaired devices in Tin Shui Wai, and when I call them out... they attack ME? Previously Unknown, or Continuously Unknown? ED NOTE: THIS IS NOT A DEVICE GOOD POINT RECYCLING OF VERMONT TOUCHED, EXPORTED, HAD ANYTHING TO DO WITH. We obtained the data from a third party. BAN made a false statement that we are representing this as some kind of an "alibi" for a device that Vermont had something to do with. We didn't export anything at all, and the device shown above was managed on the West Coast. Why would any self respecting researcher at MIT sit quietly as BAN uses profiling of "Hong Kong" to brownwash a project employing engineers? BAN self selected examples to cover up the largest investment in E-Waste Recovery on Earth... and that's OK with MIT? With Chinese and German engineers, architects, and environmental scientists, Hong Kong took on the challenge to become the best destination for E-Scrap in the world. 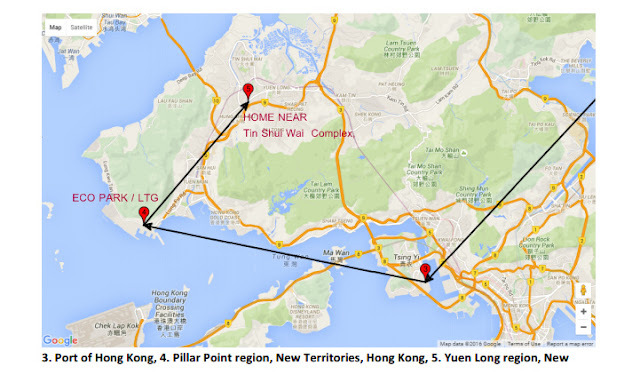 In 2015, they broke ground at Yuen Long for a $550M WEEETRF. (Some HK importers may have accepted contracts to feed the plants prematurely, but I don't claim to know, again I didn't export there, I am only investigating the MIT data). And in Taipei, BAN had to admit last week that they also found state of the art recyclers taking in and processing the material they tracked. "Previously unknown" multi-million dollar SotAs were not unknown to Fair Trade Recycling. And that's why MIT Ethics Committee should make this a textbook case of getting ethical review before throwing MIT's name behind a controversial NGO who's mantra is anti-globalization, and whose chief tactic is racial profiling / brownwashing. The facility in Hong Kong still isn't complete, and the importer who represented it to our Chicago recycler has some explaining to do. 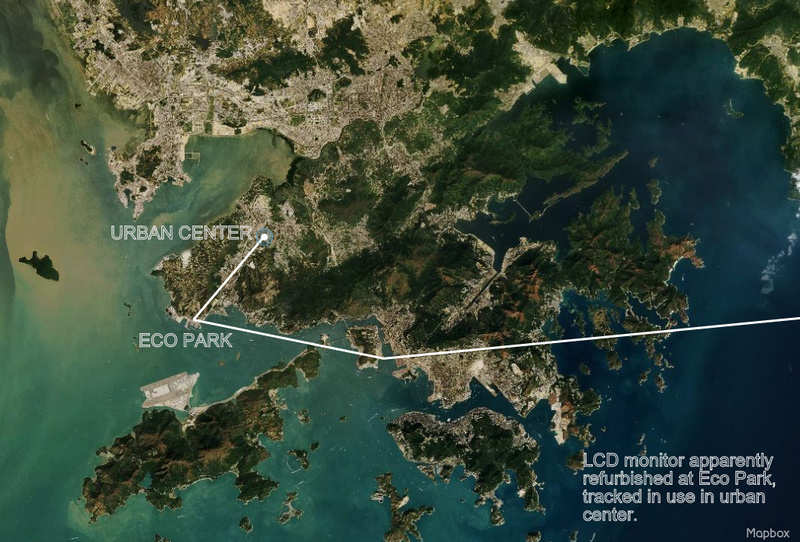 We believe one facility (initials TFG - not the SoTA recycler at EcoPark) imported material to feed the HK infrastructure prematurely. To let off pressure, some of the material sourced for the facilities (non-hazardous printers) may have been sent to scrap metal yards and printer parts harvesters. But the destinations are being re-mapped by Memorial University of Newfoundland (the final points are already mapped). What is strange is how MIT helped report on the misdirected or premature stuff in a very small yard as if it was a significant story, but never said a word about the $550M WEEETRF, which is in the New Territories. 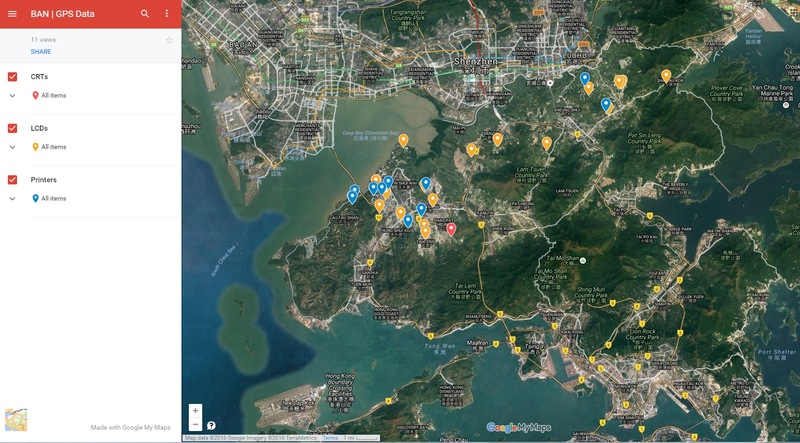 Even when we found, with their own data, that a device went through the "moon shot" facility and now appears to be in use in a restaurant in Tin Shui Wai. BAN is trying to shame us out of working with and trading with Geeks of Color. They hope to make hay (donations by Body Shop Foundation) while trying to use data to impugn people specifically in a "chain of custody" argument that BAN and MIT are literally a part of. But there can be no greater shame, in retrospect, than the collateral damage BAN wrecked on professors, students and reporters by covering up the $550M + $45M + X? 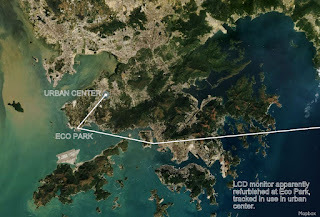 Eco Park. The WEEETRF is, at worst, a bad opening night show. No one under the age of 40 has any doubt that Hong Kong, which has a higher per capita income than the USA and generates more e-Scrap, which is a truly international city state, is capable of doing as good or better job with the circular economy than anyone in BAN's donor list. This story is so much bigger than my company, than the MLP Farm, than BAN, or my clients, or the MIT students who may look back on this with anger as the new facilities open. 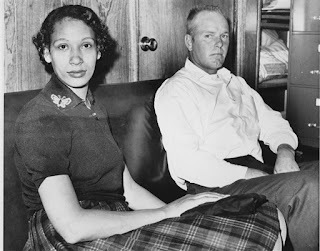 It's a story of racism, of protectionism, of false leads, of selective samples, of payola. It's not the rebirth of BAN. When the WEEETRF opens, and Hong Kong EPD repeats it can legally import (a position BAN staked out and attacked in June, making no friends at EPD), they will find themselves on the wrong side of Loving. Opening in Theaters this November 4. It's a love story. Geography Baiting 5: How Can You Say No?